But what about when things are crappy? What about those days when you’re so stressed the veins pop out of your forehead? When you hate your job — or you’ve lost it? What about those days when you are sucker-punched by a series of unfortunate events that makes the life of Job look like a garden party? I’ve met people who remain perky during really bad times. And to be honest, they make me want to slap them around a bit. That Pollyanna, “life is still beautiful” attitude when things are falling apart just yanks my chain. However, I’ve come to learn that these people know something I don’t. Here’s the secret that’s not really a secret. It’s revolutionary, exciting science. Positive thinking really does change your brain. Not in some magical, woo woo kind of way, but in a real physical way. The science is called neuroplasticity. It means that our thoughts can change the structure and function of our brains. The idea was first introduced by William James in 1890, but it was soundly rejected by scientists who uniformly believed the brain is rigidly mapped out, with certain parts of the brain controlling certain functions. If that part is dead or damaged, the function is altered or lost. Well, it appears they were wrong. Neuroplasticity now enjoys wide acceptance as scientists are proving the brain is endlessly adaptable and dynamic. It has the power to change its own structure, even for those with the severe neurological afflictions. People with problems like strokes, cerebral palsy, and mental illness can train other areas of their brains through repetitive mental and physical activities. It is completely life-altering. So what does this have to do with positive thinking and with you? It means that repetitive positive thought and positive activity can rewire your brain and strengthen brain areas that stimulate positive feelings. In his widely-acclaimed book, The Brain That Changes Itself: Stories of Personal Triumph from the Frontiers of Brain Science, Norman Doidge M.D. states plainly that the brain has the capacity to rewire itself and/or form new neural pathways — if we do the work. Just like exercise, the work requires repetition and activity to reinforce new learning. Here are some actions you can take to change your own brain during the bad times. Everyone fears doing something new because we don’t wait to fail. The truth is, we can do most anything if we take action, stop negative thinking, and shift our perceptions of the truth about our abilities. Action steps: Force yourself to stop thinking about reasons you can’t do something, even if you don’t feel brave or capable. Every time a negative thought creeps in, retrain your brain to think a positive thought about your abilities instead. Then take small actions every day toward achieving your goal or desired change. Nike’s slogan, “Just do it,” has real validity. Have you ever found yourself trapped in obsessive over-thinking about a problem or in a state of anxiety or worry that lasts for days or even weeks? 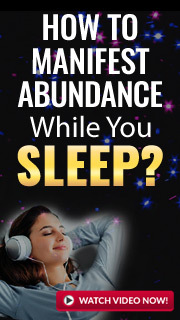 It drains your energy, affects your sleep, and spirals your mood and outlook on life. Focusing on your problem only strengthens the worry function in your brain. Action steps: When you find yourself in that cycle of worry or compulsive thinking, remember the three R’s — rename, re-frame, and redirect. When the worry begins, mentally yell “Stop!” Rename the issue by reminding yourself that worry isn’t real. Rename it as a compulsive reaction, not reality. Re-frame your thinking by focusing on positive or distracting thoughts, even if you still feel anxious. Force yourself to think different thoughts. Redirect your actions. Go do something uplifting, fun or mentally engaging. The key is following these steps repeatedly, every time you worry obsessively, to break the pattern and rewire your brain. Sometimes we might feel blue or out-of-sorts, and it’s just a temporary fog that settles in and lifts after a few days. Some mood disorders, like depression or serious anxieties that morph into phobias, can be debilitating and unrelenting. Psychologists and therapists have used treatments based on neuroplasticity to get to the cognitive root of these disorders and put a patient’s life back on track. Action steps: A serious mood disorder or phobia requires the help of a trained counselor. Cognitive behavior therapy (CBT) is a type of treatment that helps people learn how to identify and change destructive thought patterns that have a negative influence on behavior and feelings. If you suffer from severe anxiety or depression, you need someone skilled to help you get to the root of these thoughts and to show you how to change them. Ask them about CBT. In his book, Dr. Doidge chronicles amazing case histories of patients whose astonishing progress had previously been dismissed as hopeless. Through the applications of this science, we all have the ability to be happier and more positive, raise our IQ’s, rejuvenate aging brains, and learn new skills with ease. If you want to learn more ways to use the revolutionary science of neuroplasticity to change your thoughts and your life, check out Dr. Doidge’s website. Barrie Davenport is a life passion coach and founder of BarrieDavenport.com, a site devoted to helping people uncover and live their life passions. She is the author of The 52-Week Life Passion Project.